Mycotoxins in Grain handbook from C.H.I.P.S. 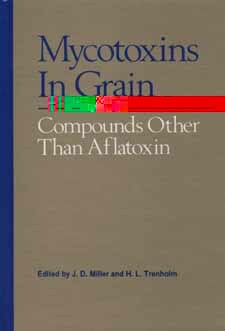 While mycotoxin research is focusing more and more on agriculturally important mycotoxins other than aflatoxin, few references have covered these myctoxins in detail. Mycotoxins in Grain fills that void by providing a through presentation of the chemistry and biology of these mycotoxins and their impact on food safety, animal health, and productivity.